To the memory of Ruth Swerdloff, whose journey you are about to take. Many people fall into routines that require them to do the same thing, the same way, everyday. They get up, go to work and perform the same job, read the same types of books—never changing anything. When they are forced to vary from their routines, some people often find it difficult, or virtually impossible. People, not just seniors, who take part in different activities each day give their minds a chance to workout, which may reduce their risk of developing dementia. This book is dedicated to all those whose memories are precious, whose lives have been drastically changed, and whose families I hope after reading this book will understand the huge undertaking and commitment they are making when they decide to become a caregiver. In my heart and soul, I hope someday a cure or a preventive will be found for Alzheimer’s disease. I dedicate this book to my mom, Ruth Swerdloff, who gave me the courage to be the person I am today, and taught me the true meanings of courage and survival. Fran, when did you know you wanted to be a writer? I have always loved to write even before becoming an author. But, professionally it took a dare from my sister to write my first book when I retired from my job with the New York City Public School System when my mom was diagnosed with Alzheimer’s. Someone had to care for her full time. My sister dared to become a couch potato or review a book. I reviewed a cookbook, and I don’t know one knob of a stove from another. The review was filled with humor, fun quotes, and much more. The author is still laughing and made sure it was read all over the Internet. My sister dared to write a book, and I chose to write about our antics growing up in the South Bronx creating my Bertha Series with the first book titled My Name is Bertha. I have not stopped writing, reviewing ever since. I even created a magazine, MJ Magazine in my sister’s memory and would welcome more contributors. When my mom realized that she had a memory problem, we started to record memories that would help keep her mind active. I used these journal entries to write this book hoping that it will help others who decide to become a caregiver to understand what they are going to have to endure, what it entails, and the fact that you as the caregiver are keeping someone close to you alive and in a familiar environment. I wrote this to honor my mom and all that she did for me growing up. I hope that readers will understand why there has to be a more concerted effort to find the real cause of the illness and money for research. I hope that when they read this book they will avail themselves of the resources that I have included and feel free to email me with their questions. I made a promise to my mom never to put her in a nursing facility, and after visiting over twenty, I realize that I made the right decision based on what I saw. When my mom was diagnosed in 2003 with Alzheimer’s, I retired from my position as reading and writing staff developer and dean of discipline. If I did not retire I hoped to use my Principal’s license to be an administrator. Resourceful, true story, straightforward, and informative. To bring this issue to light, and hope that when people read my book or buy it I can donate to Alzheimer’s. What will others learn from reading your book? The stages of the illness. The resources available and how to deal with the many changing behaviors and the tips for bathing, feeding, understanding behavior changes, and more. I just write what comes to me and hope it makes sense. I created the cover myself. 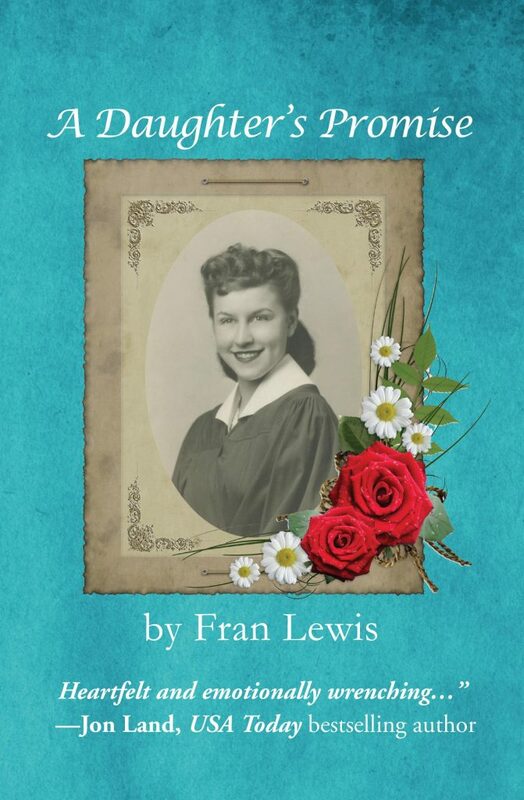 I searched for the right picture frame from the 1940’s, and the picture on the cover is my mom’s high school graduation picture, and she loved roses. Jon Land, Tess Gerritsen, Robert Dugoni, Alan Topol and Carter Wilson. What are your favorite books a) as a child b) as a teenager c) as an adult? As a child I loved reading the classics which I did in the third grade: the original Little Women, Dr. Jekeyll and Mr. Hyde, Alice In Wonderland, the Prince and the Pauper and Treasure Island. As a teen I loved Nancy Drew, mysteries, A tale of two cities and Shakespeare. As an adult and a book reviewer just about everything but erotica. I love mystery/thrillers, memoirs, historical fiction, fiction, history, true crime and true life non-fiction. Which author would you most like to invite to dinner, and what would you fix him or her? Since I don’t cook it would definitely be take out from the local Italian restaurant, and since I never invite anyone without asking them their preferences I would let them decide. I would invite, if he were still alive, Edgar Allan Poe or one that is alive, my favorite Jon Land. I only read paperback or hardcover, and I am reading five books at this time: The House of Spies, Proof of Life, Paradise Valley, Close to Me which is not out yet and The Cuban Affair. Do you work better at night, in the afternoon, or in the morning? I work at all times of the day or night whenever the inspiration comes to write a book or a review or create my magazine. I write or shall I say I type on my computer or on my favorite recliner. Your last meal would be . . .
A library so that I can share my stories, read from my own books, and help young children choose books that will make them want to read. That’s a tough question. I guess I would not buy anything, but I would pay off what I owe the dentist, and if it is in the millions help some of my family members that are struggling. But, for me maybe a new computer. Would you rather be stranded on a deserted island or the North Pole? Shopping definitely, going to the city and visiting the amazing places in Manhattan. Dinner at the Capital Grille, a show, or a museum. We just moved here, and it’s odd that I am from the Bronx and I always hold doors and greet people that I meet. Here they do not. I love living somewhere where I can get up in the morning and walk to the bakery and get my morning cappuccino. One fact: the area is beautiful and the great part is the Sanitation Department is fantastic making the snow go away in the winter after a storm. I walk and get some air and watch a program that just makes me smile and then I get back to work. Charlatans: Robin Cook; Dark Light Dawn: Jon Land; Fabrizio Boccardi and A Face to Die for: Andrea Kane. Walking, shopping, talk with friends and family. Israel where I have family. The next faces behind the stones book five. Remembering what my mom had told me, to always look for that special message in the book and create that first paragraph to stimulate reader interest, I begin my review. Perfection: that’s what she always told me. Each piece of writing, each assignment had to be done to the standards set by my teachers and professors, and then pass the highest test, mom’s. I remember coming out of school one night, and she stuck her hand out waiting to see what I’d gotten on my midterm in one of my graduate courses in administration. I still smile when I remember what happened. I left out one question and got a 98, and I told mom what I did wrong and the right answer. But, the professor was so frustrated with most of the other students that she had to revamp the scores by adding ten points to everyone’s test scores just to have more students pass, so mom was satisfied with my 108. And, of course, on the final I did get 100 and an A in the class, because it was what was expected of me by myself, and of course, mom. So, mom, it’s been five years and it seems like yesterday. I hope I will continue to make you proud of me. You taught me well. Yes, I never leave the house without looking my best. You were my mom, mymentor, and my best friend. You will always be here for me in spirit. When you became ill we all rallied together as a family to make sure you remained at home and received great help. We were truly blessed to have Joyce, Joan, Laurel, Pat, Tessa, Loretta, and Getty to take such good care of you and, of course, someone we all miss and loved, Veronica Collins, your case manager, who made sure that you were safe and protected by the best aides in the world from Partners in Care. So, mom, happy birthday, and let the sun shine tomorrow so we know that you are still watching over us and protecting Marcia, who is with you now. We miss your wisdom, your guidance, the huge grey mobile that you drove anywhere you were needed, as the taxi driver for your friends, and the orange mobile that my reading students loved when you picked me up or drove me to school. I made a promise and vowed that I would do everything in my power to care for you, keep your mind and body active, and never even consider the one thing so many others do, placing you in a nursing home. Fran Lewis worked in the NYC Public Schools as the Reading and Writing Staff Developer for over 36 years. She has three masters Degrees and a PD in Supervision and Administration. Currently, she is a member of Who's Who of America's Teachers and Who's Who of America's Executives from Cambridge. 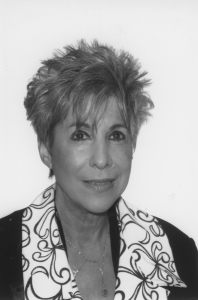 In addition, she is the author of three children's books and a fourth that has just been published on Alzheimer's disease in order to honor her mom and help create more awareness for a cure. The title of her new Alzheimer’s book is Memories are Precious: Alzheimer’s Journey; Ruth’s story and Sharp as a Tack and Scrambled Eggs Which Describes Your Brain? Fran is the author of 13 titles and completed by 14th titled A Daughter’s Promise. She was the musical director for shows in her school and ran the school's newspaper. 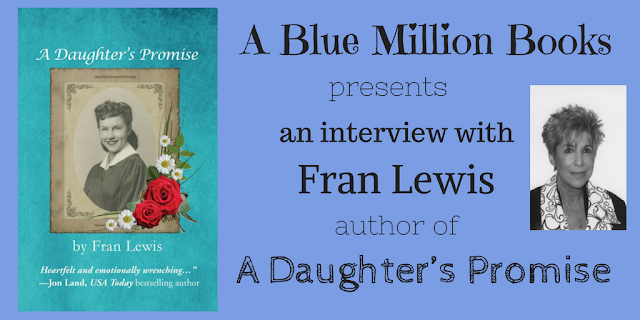 Fran writes reviews for authors upon request and for several other sites.